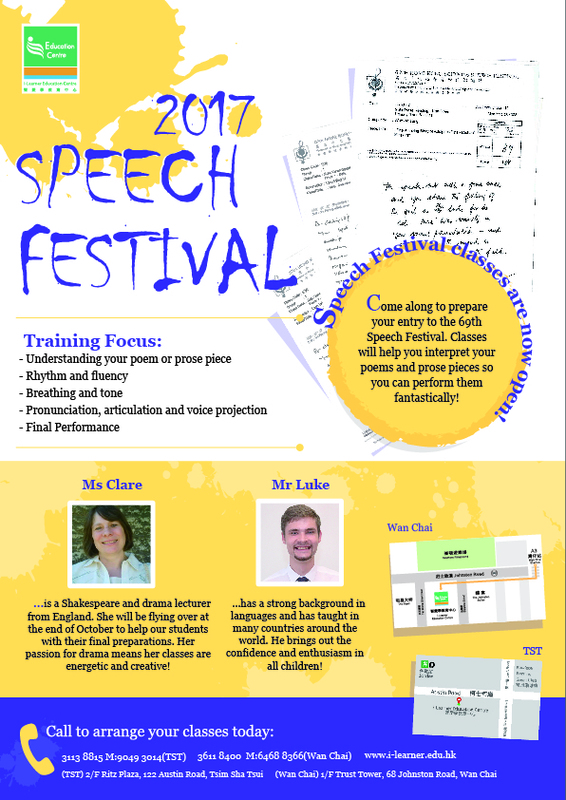 Speech Festival classes are now open! 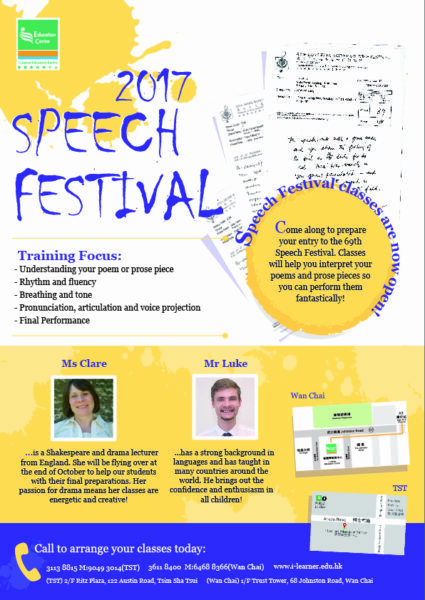 Come along to prepare your entry to the 69th Speech Festival. Classes will help you interpret your poems and prose pieces so you can perform them fantastically! Ms Clare is a Shakespeare and drama lecturer from England. She will be flying over at the end of October to help our students with their final preparations. Her passion for drama means her classes are energetic and creative! Mr Luke has a strong background in languages and has taught in many countries around the world. He brings out the confidence and enthusiasm in all children!